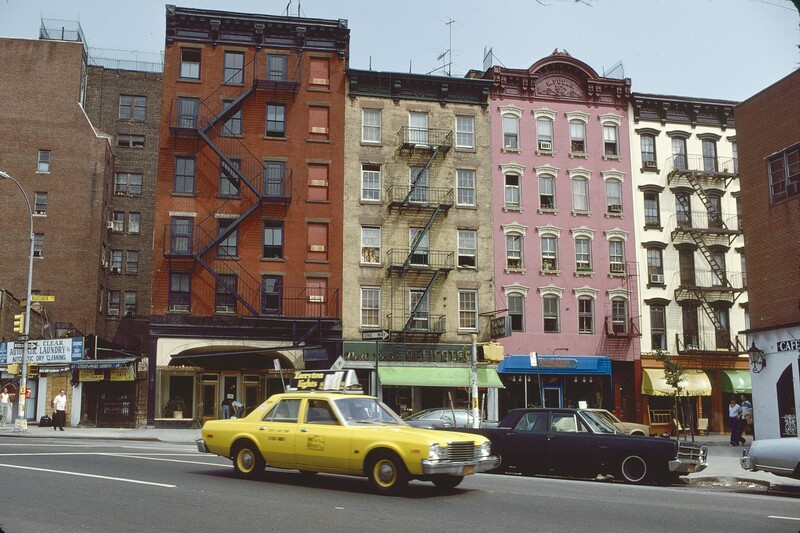 Thirty-eight years later, van Wijk decided to share his previously unseen images, and Ephemeral New York has the wonderful privilege of posting them. It goes without saying that the Gotham of 1979 was a vastly different place. 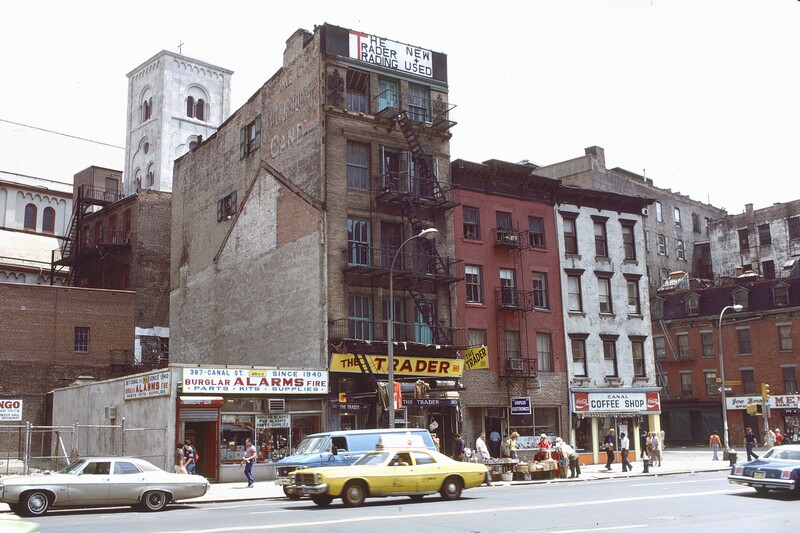 These days, everyone wants to live in New York; in the 1970s, residents couldn’t get out fast enough. 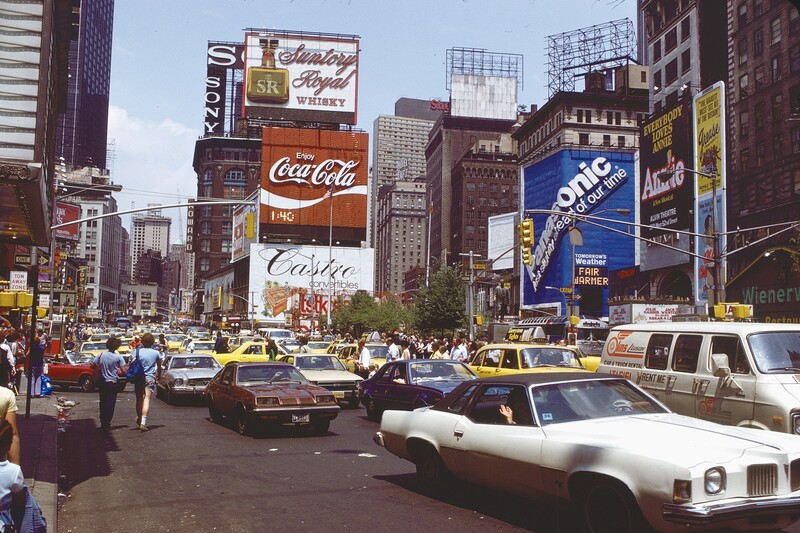 The city’s population dipped an incredible 10 percent from 1970 to 1980, to just over 7 million. Ed Koch had been elected mayor a year earlier on a law and order platform. The city’s nickname, Fear City (or more ironically, Fun City), was a nod to rising crime and rampant graffiti. Cuts in city services left garbage on the streets, and shells of buildings sat empty in the South Bronx, East Village, and the Lower East Side, among other neighborhoods. You wouldn’t know any of this from looking at these photos. The city in this collection of images is animated and colorful, with life and energy. It’s a New York that feels almost small scale compared to the contemporary city—more a collection of neighborhoods rather than an island of cookie-cutter stores and development. 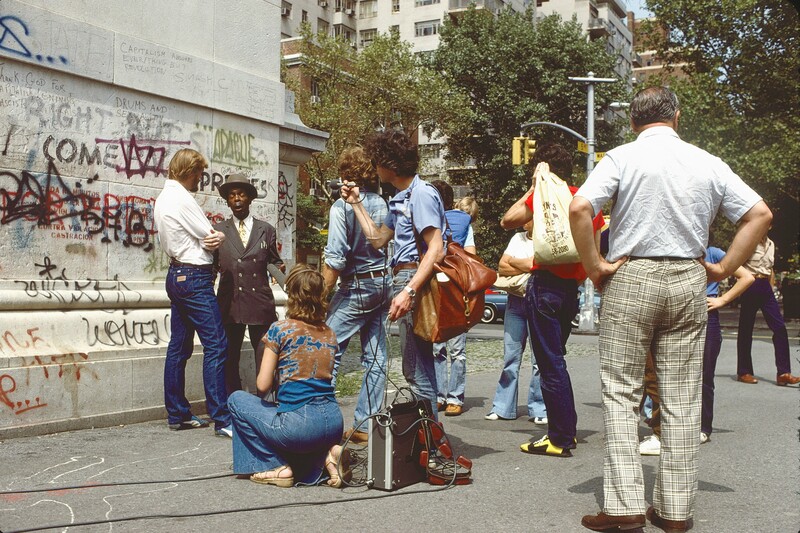 The gritty, street-smart New York of the 1970s is often hailed as a more authentic version of the city. How true that is has been up for debate lately. These photos don’t take a side. 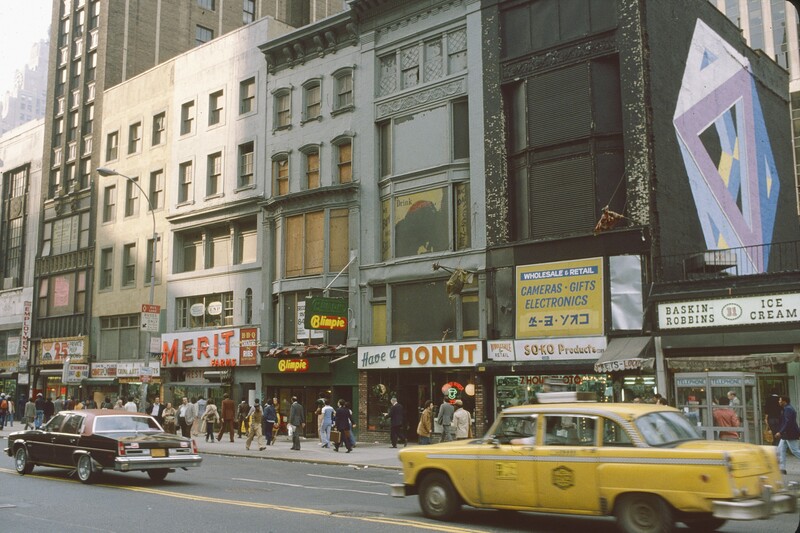 They’re simply fascinating portals into the past that bring memories back of the city in the late 1970s, before crowded subways, a critical mass of Starbucks and Duane Reade stores, and an army of residents wearing white earbuds as they go about their day. What’s more beautiful than block after block of glowing reds and blues and pinks and yellows, emanating light and heat? These food-oriented neon signs also make you hungry. 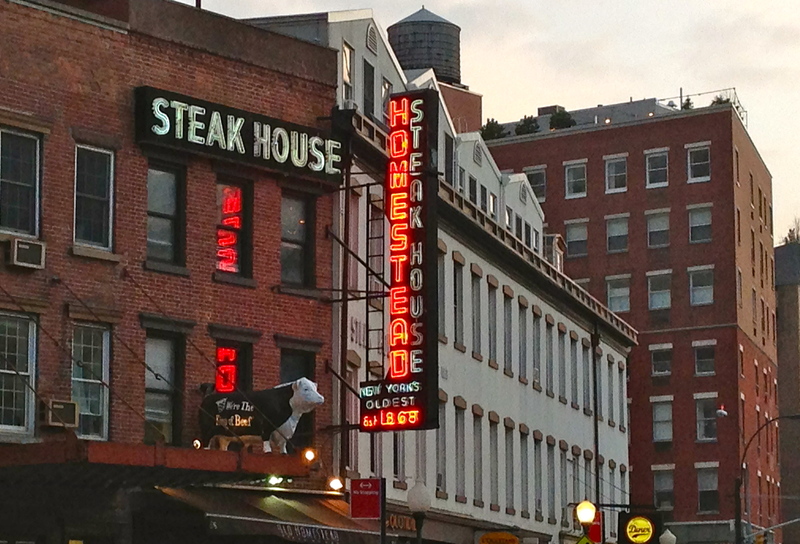 The Old Homestead sign looks pretty old, though not as old as this steak house (two words!) itself, from 1868. 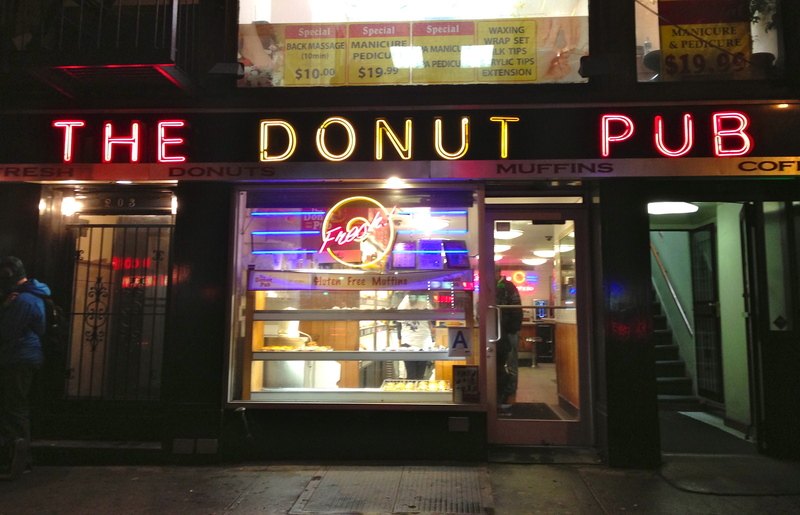 The Donut Pub on 14th Street, a 50-year-old remnant of New York before cronuts and Starbucks, recently survived a competitive attack by an upstart Dunkin’ Donuts down the block, which quietly closed shop a few years ago. 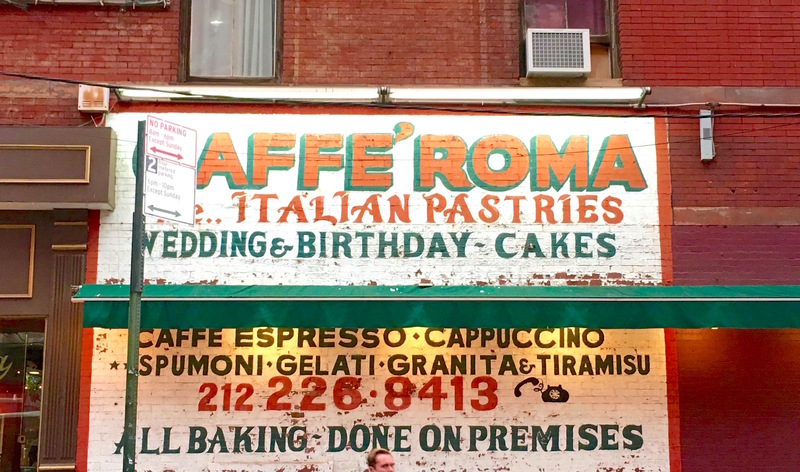 DeRobertis Caffe and Pasticceria has been baking sweets for 110 years on First Avenue near 14th Street, when this was an Sicilian immigrant micro-neighborhood featuring Russo Brothers, Veniero, and probably hundreds of small shops lost to history. Queen is an oddly named Italian restaurant (since 1958!) on Court Street in Brooklyn. You have to dig that crown. 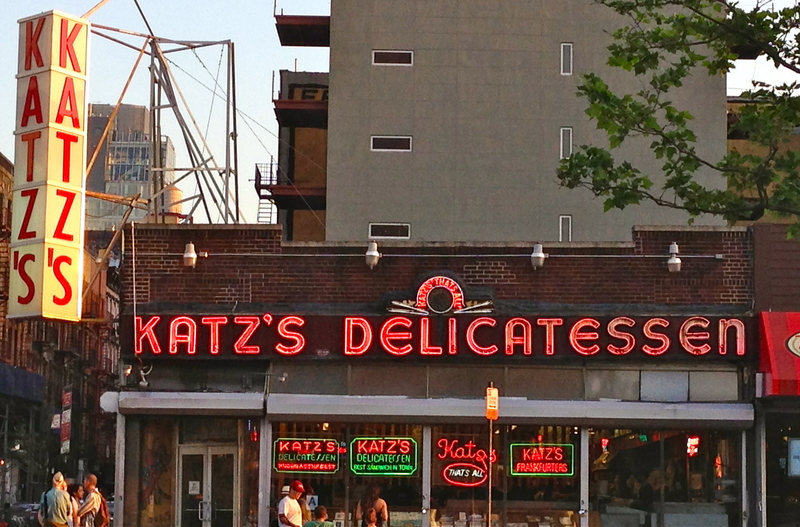 And of course, Katz’s Deli, a treasure of New York neon and store signage—and sandwiches and Jewish soul food too. More sublime neon beauty can be found here. Blue, green, red, yellow, pink—a walk down an old-school city street bathes you in bursting color and light. 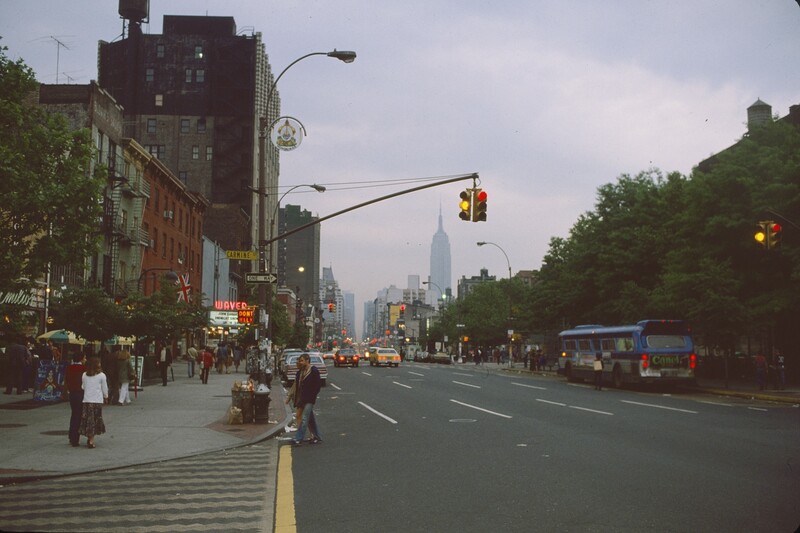 It makes New York feel magical. 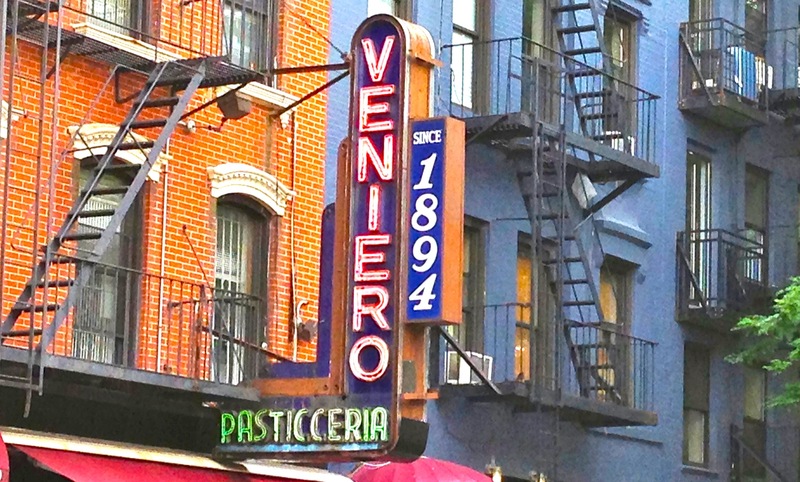 Just looking at the Veniero’s Pasticceria sign (119 years on East 11th Street!) kicks in a cannoli craving. Pasticceria is a beautiful, lyrical word, no? Russ & Daughters Appetizers, on East Houston, is a feast for the eyes inside as well. This slightly derelict clothing-store sign on Orchard Street doesn’t pop with color, but the light blue and red on the left are the kinds of 1960s kitschy hues you rarely see anymore. 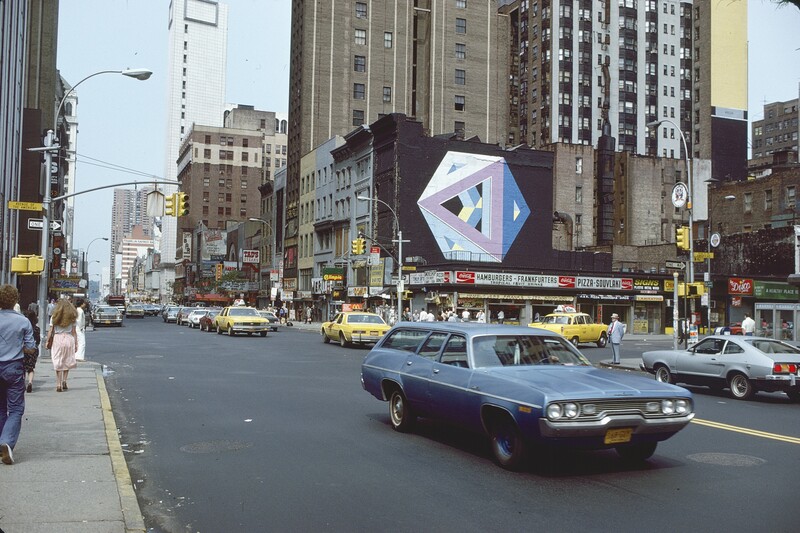 The High Style Shirt Company is long-gone; an art gallery moved into the space and uncovered the vintage signage. Luckily they kept it up! The Clover Delicatessen glows in emerald and pink on Second Avenue at 34th Street. It’s been around since the 1940s. They’ve mostly been painted over or blocked out of sight by newer, flashier signs. But these artifacts from an older New York refuse to be silenced. On Broadway and 181st Street is a big corner bodega called Smile Deli. 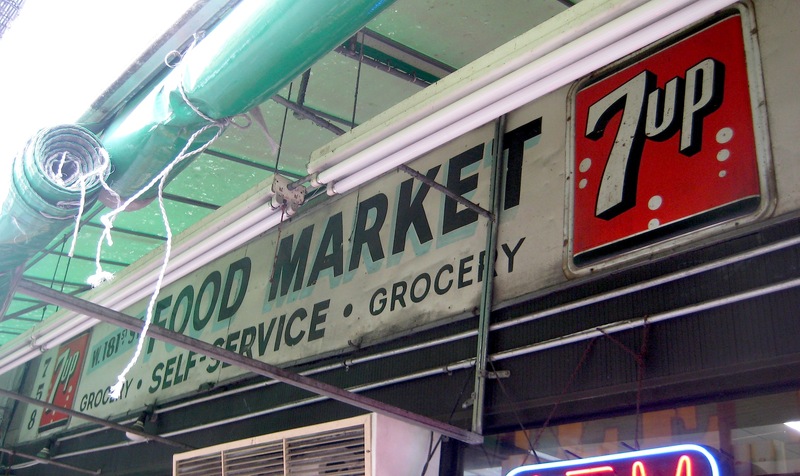 But lurking underneath the green awning is the 1970s-esque 181st Street Food Market sign, with its old-school 7-Up logo. I have no idea how far back this sign for a Hebrew bookstore goes. 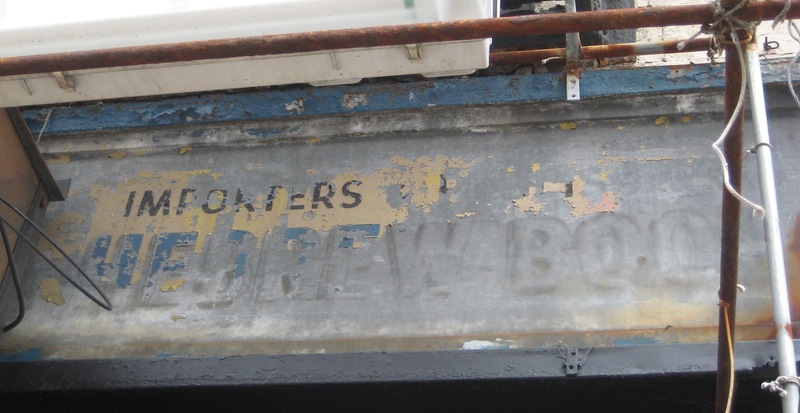 It looks like the place, on Ludlow Street, was abandoned, the sign left to deteriorate. 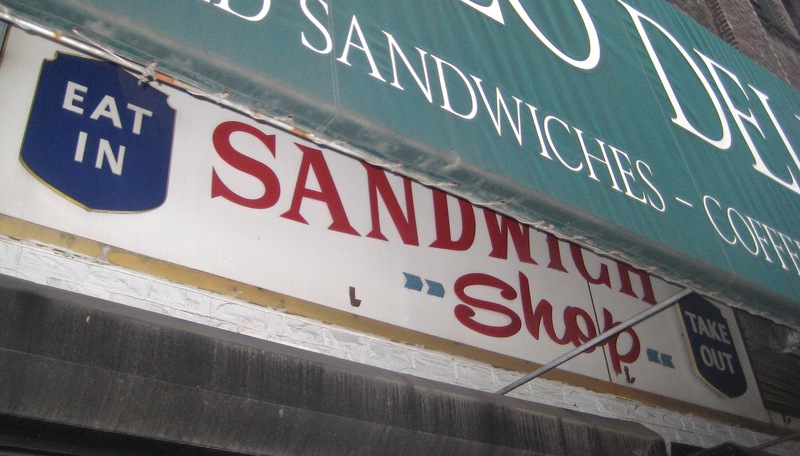 The Hello Deli on West 53rd Street, made famous by David Letterman who tapes his show around the corner, had a previous incarnation as the Preview Sandwich Shop. I love the 1960s typeface. 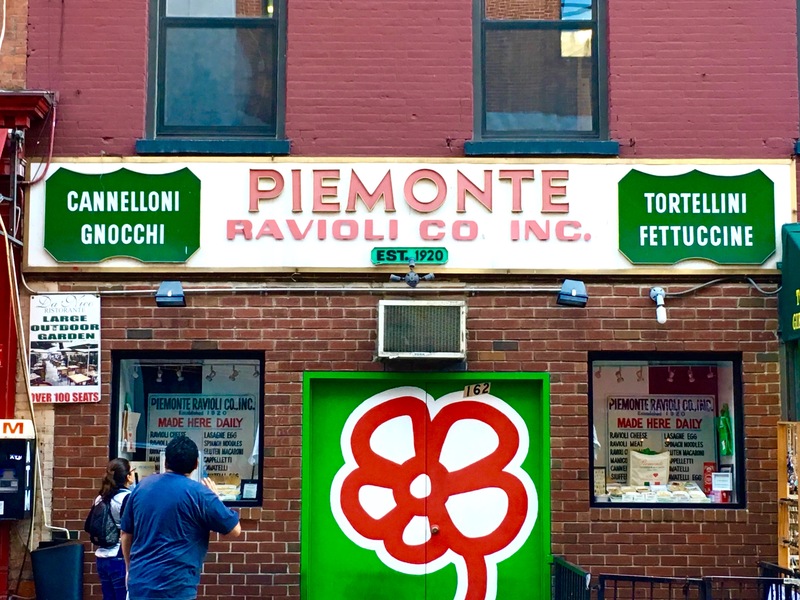 Above the sign for Bite, at 211 East 14th Street, is the faded lettering for what looks like a locksmith or hardware store. “We make keys names plates and mail boxes” it tells us. But there’s no name or other clue to its history. Are these real Coca-Cola store signs—or just temporary props put up for a film shoot? I might say the latter if I didn’t see them myself. 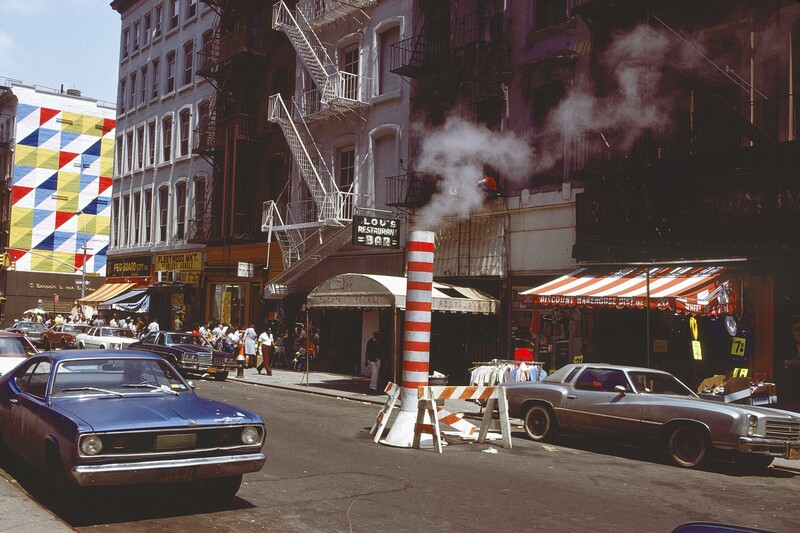 There aren’t many delis, drugstores, and luncheonettes left in New York featuring the familiar red and white Coke logo. Spotting one is like a trip back in time. The Starlite Deli fluorescent sign continues to light up West 44th Street in Times Square. A handmade sign advertising Coke and 7-Up, now that’s a rare find. This one is on Carmine Street. This corner shop in Astoria apparently still stocks 20th century artifacts such as school supplies, cigars, and “pocketbooks.” It’s under the N train elevated tracks. There’s something so wonderful about seeing the word “Ravioli” in giant red letters, as it appears in this technicolor sign in Gravesend. 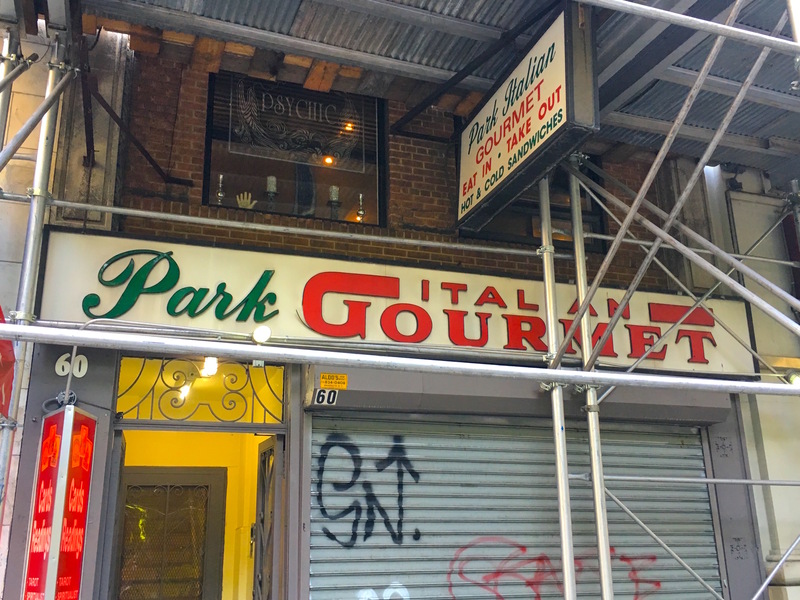 In the shadow of midtown skyscrapers, this vintage sign for the bland-sounding Park Italian Deli, on 45th Street, still hangs on. 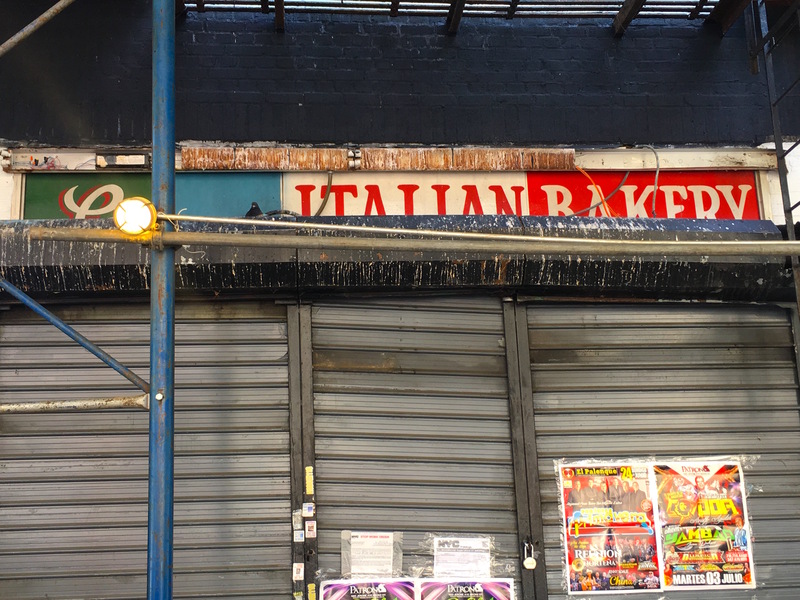 The Espresso Pizza sign, in Bay Ridge, looks like it dates from the Tony Manero era. 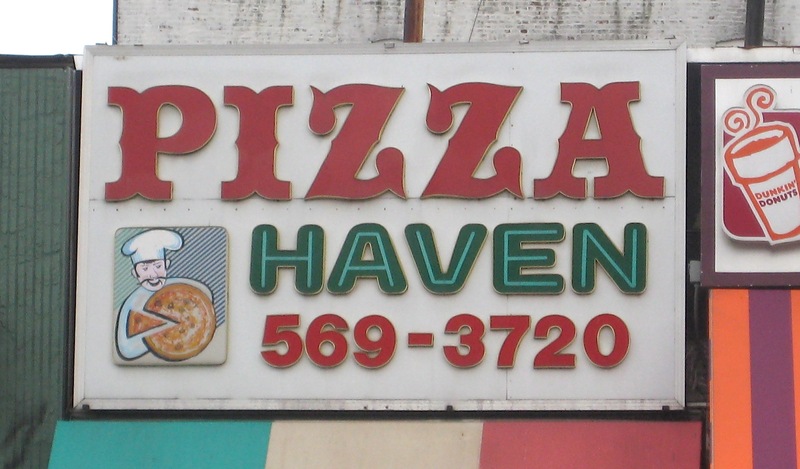 I like the ZZ’s in Inwood’s Pizza Haven signage. 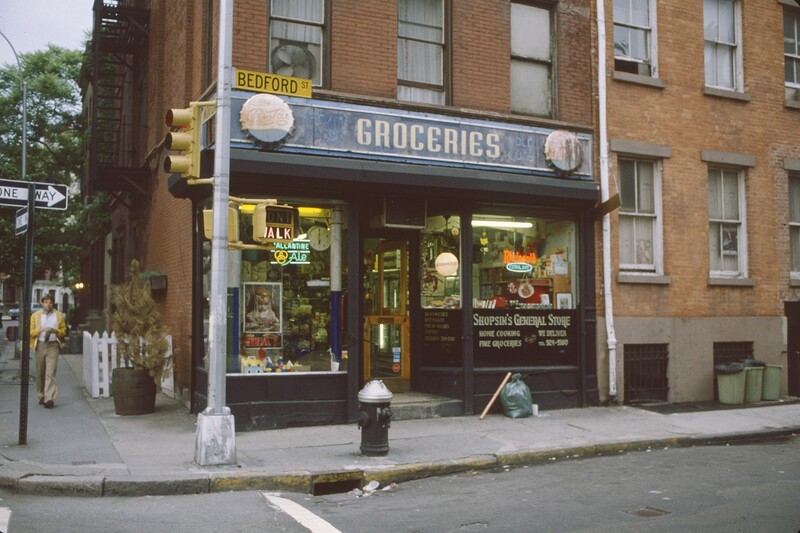 So why not turn to other state names when it comes to naming your deli/grocery/bodega? Kentucky isn’t all that far from New York. Or perhaps the owners of this Avenue D establishment were trying to make a point about how much distance lies between their store and the center of Manhattan. Calling your shop the Alaska Food Market at least implies that the beer and soda will always be ice-cold. 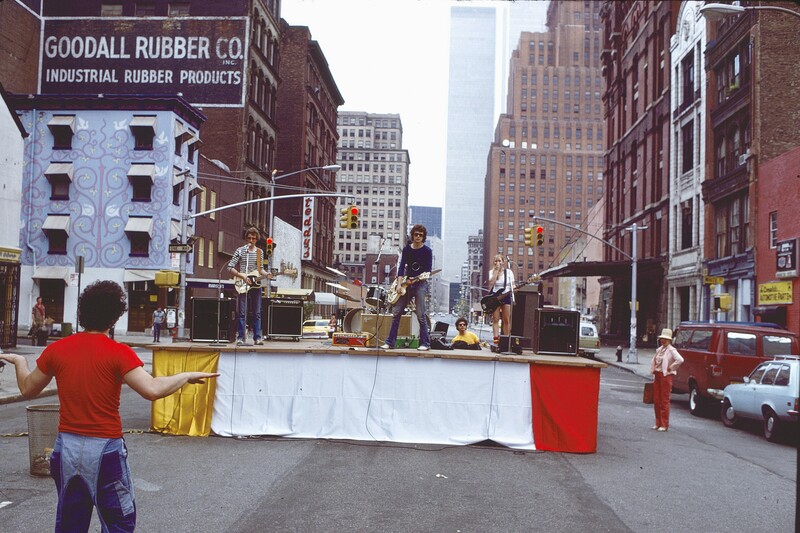 It’s in Chelsea on lower Ninth Avenue. 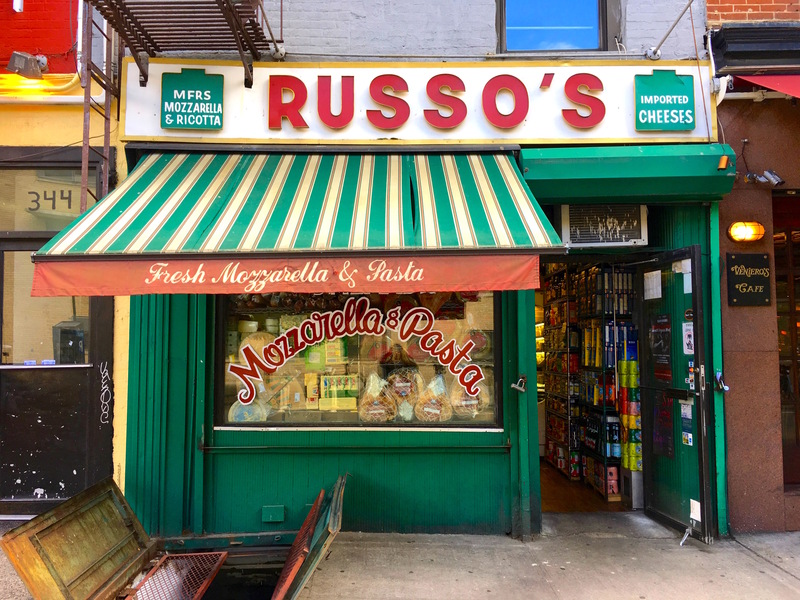 I don’t know how long this vertical sign has been affixed to this Jane Street building, but the store below it hasn’t been a deli for years. A Harlem neighborhood deli sign that has seen better days. Why Golden Gate? 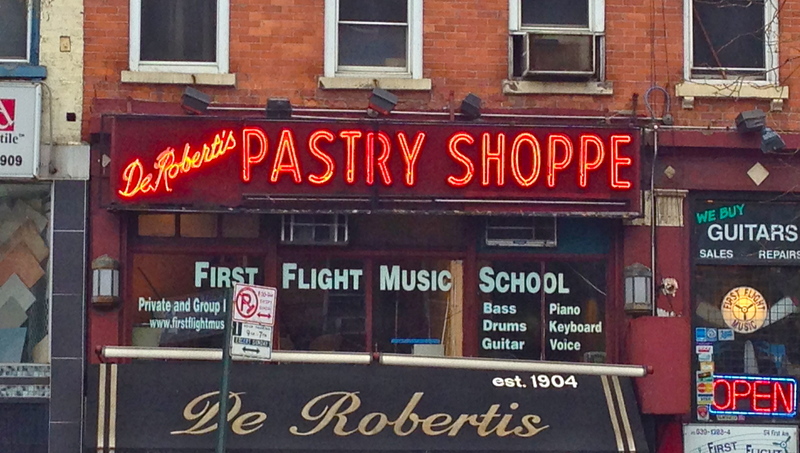 Joe’s Superette on Smith Street in Carroll Gardens has the most wonderful store sign, which looks like it was put up around 1958. UL stood for Ulster. But what was Ulster? The Valencia Bakery is on Broadway in Williamsburg. Besides a cool old 1960s sign, the WY exchange remains.